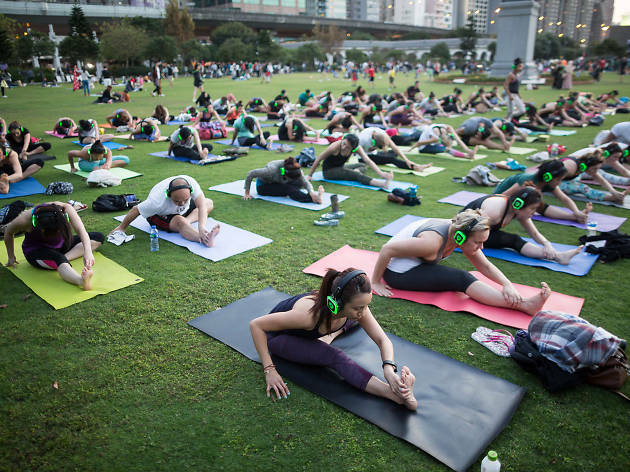 Throw in some Bollywood grooves with silent disco yoga at the scenic Sun Yat Sen Memorial Park. Take mindfulness to a higher, newer level. Sheung Wan’s Yoga Room is throwing in a dash of Bollywood into their regular silent disco yoga classes. Certified instructors Holly and Chandni are cherrypicking the music, which will be played to you through illuminated headsets. 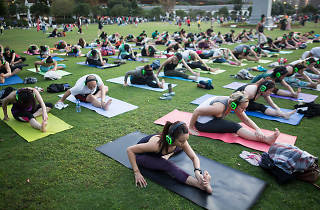 Once you've heart pumping and jazzed up in the 45mins Bollywood session, cool down with an-hour long silent disco yoga class. With Victoria Harbour in the background, come get your chakras set right this Sunday! Remember to bring your own yoga mat!